One of the most challenging and exciting parts of a project is the exercise of putting together the final price to do the job. Those in the industry use the term “bidding” the project. No matter what delivery method you use for your project, the project team will use the process of bidding to arrive at the final price. So what is involved? The lead estimator assembles the plans and specifications for the project into what is called a “bid package” and sends it out to trades people for the various portions of the project. The trades people review the documents and send a price to the general contractor to do the work in their specialty on or before the day it is due. On “bid day” quotes for the various scopes of work come rushing in the door and are assembled together before the deadline for submission to the Owner. Each bid is analyzed to determine if the entire scope of work is complete. If it is, it is then considered a qualified bid and that subcontractor could potentially win the project. This process can be very intense at times because a minor mistake can end up being very costly. 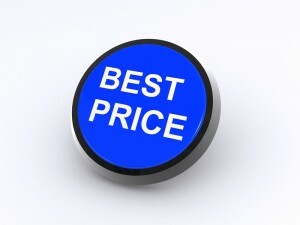 That is why a qualified team of professionals work on the bids together so that at the end of bid day they can rest in knowing that the price is right.